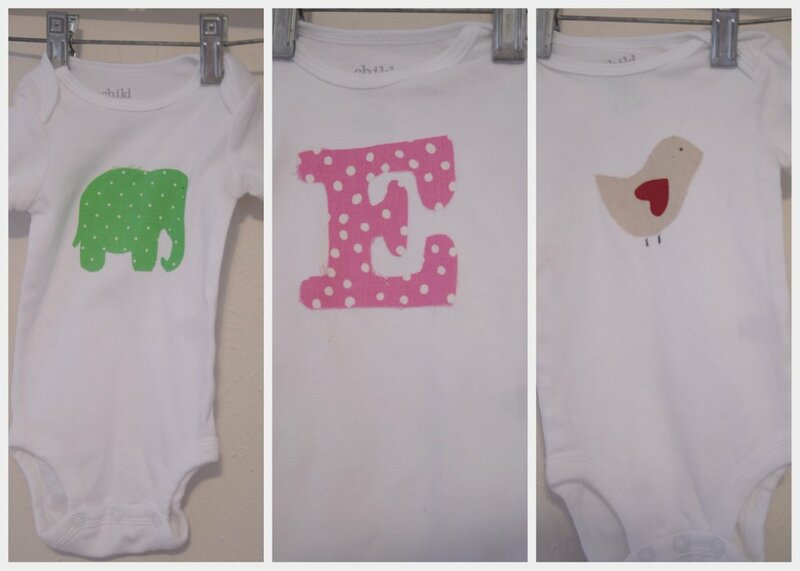 Using my tutorial found HERE, I made another little set of onesies for another dear friend who had a little girl. 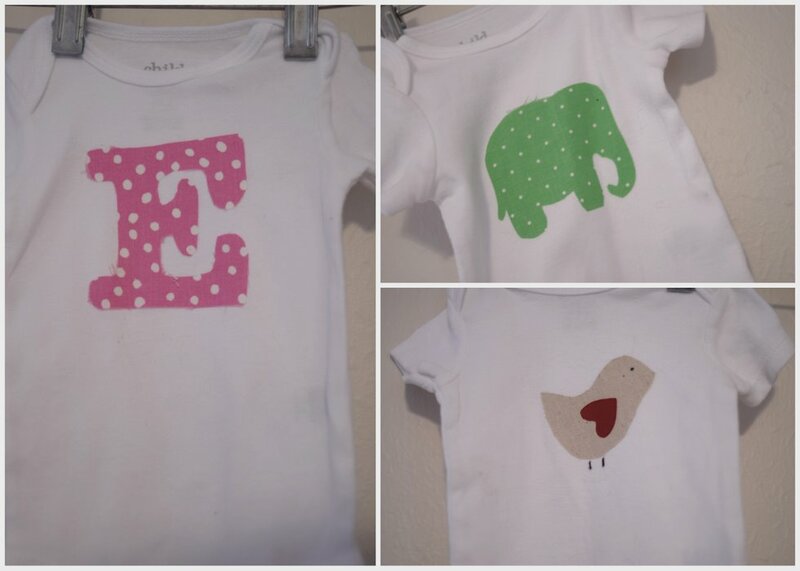 This is truly a simple way to create a cost-friendly and darling gift for a new baby! I think that I especially love the little bird! So cute :) If you've never tried it, I say go for it!